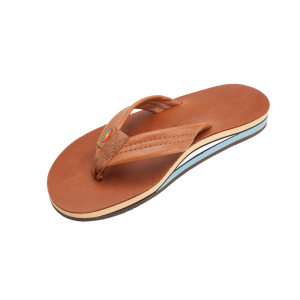 This model comes with a narrow strap, also nubuck leather; it is double stitched, and the nylon toe piece is secured with a box X stitch, all using bonded nylon thread. 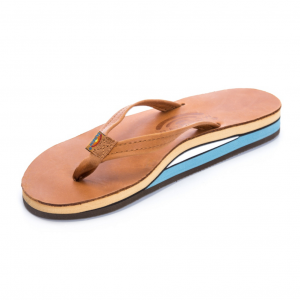 The Flirty Braidy is Rainbow Sandal's single layer midsole with arch support, which sits on a non-slip Rainbow bottom, with a Twist! 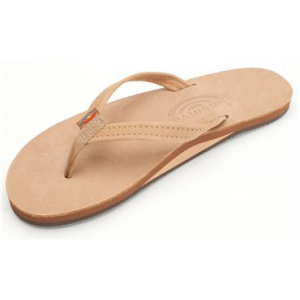 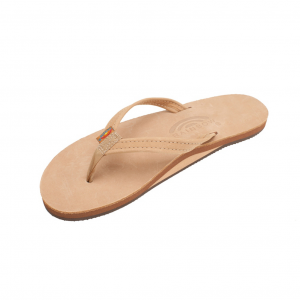 Get your summertime on in the Rainbow Sandals Double Layer Classic Leather flip-flops. 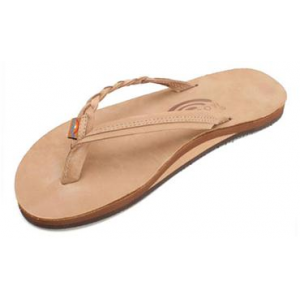 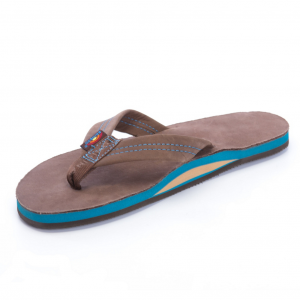 Soft, durable leather and arch support make these some of the most comfortable flip-flops you'll ever wear. Wear these these sandals into the city-with comfortable nubuck uppers, the Rainbow Sandals Double Layer Premier leather flip-flops also have an extra layer of midsole to support your arches. 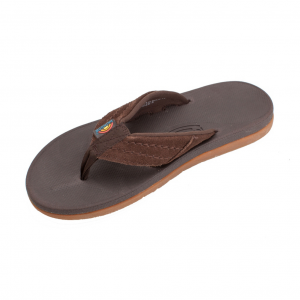 The Rainbow Sandals Premier leather single-layer flip-flops are made with top-grade nubuck leather and parachute box-stitched toe pieces. 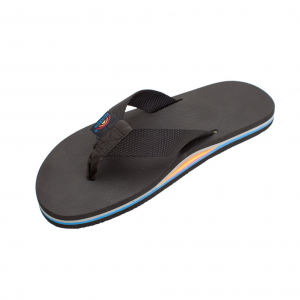 They're sewn with bonded nylon thread for durability. 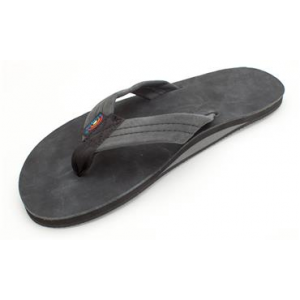 Treat your kids' feet to the same casual comfort that grownups enjoy with the Rainbow Sandals Premier Leather Single Layer flip-flops.